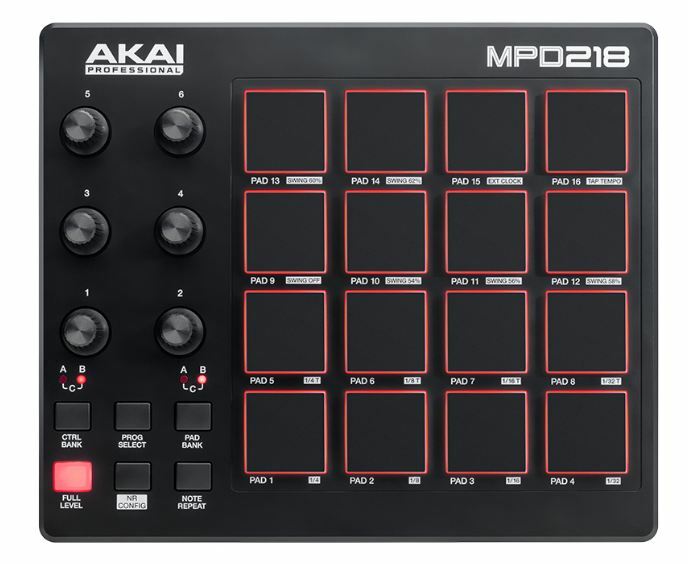 MPD218 is a USB/Midi Pad Controller from Akai. It is designed for producers, musicians, DJs and anyone who needs an intuitive and rugged controller for beat making or sample triggering. MPD218 comes with 16 pressure and velocity-sensitive MPC pads, with backlit LEDs, and 6 pressure-sensitive encoders. It’s possible to set up to 3 MPC pads and 3 encoder banks, which gives the unit the possibility to store 48 pads and 18 encoders. The pad banks are accessible by pressing the Pad Bank button, while the encoders banks can be reached through the Ctrl Bank button. The Full Level button will activate Full Level Mode, and the pads velocity will be set to 127. That is, no matter how hard you play, the volume won’t change. The Note Repeat button will retrigger the pad according to a given tempo and time division. MPD218 is a USB-powered product, so just connect it to a computer through the USB port, on the rear panel. You can also connect the MPD218 to an iOS device by using the Camera Connection Kit (not included). The unit has 16 configurable presets so that the user can map all buttons, encoders and pads according to their needs. 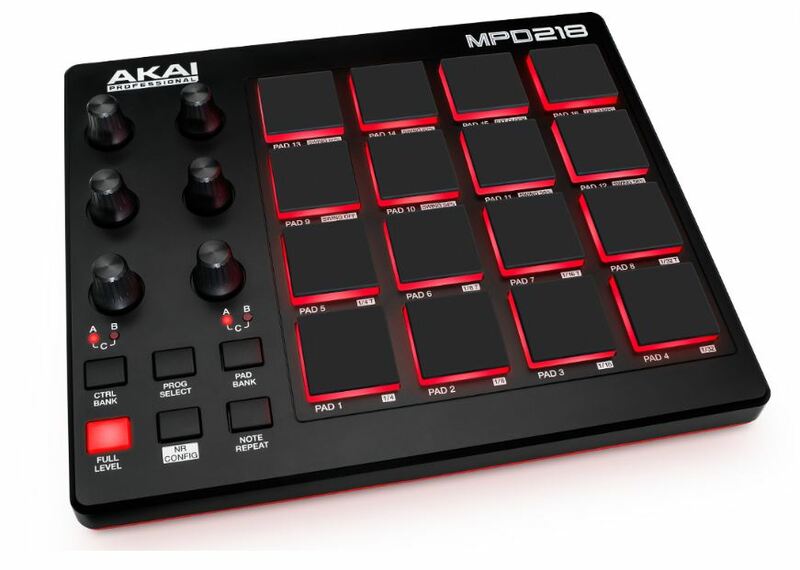 There’s also the MPD218 Editor Software, available to download on Akai website, which will be useful for customization. – Akai MPC Essentials included.